Free listening returns to Daytrotter! Check out the J.E. 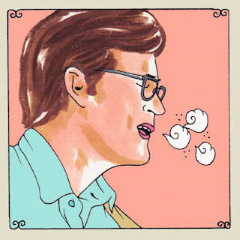 Sunde Daytrotter sessions and discover other exceptional artists on Daytrotter. Check out this amazing solo J.E. Sunde Daytrotter session featuring two unreleased tracks plus acoustic versions of three tracks from "Shapes That Kiss The Lips of God".